Today's guest, a former Seattle prospect, could hit minor league pitching, but performed especially well once on first or second. He stole 259 bases in the minors and another dozen in limited big league action before moving to Japan for lack of playing time. 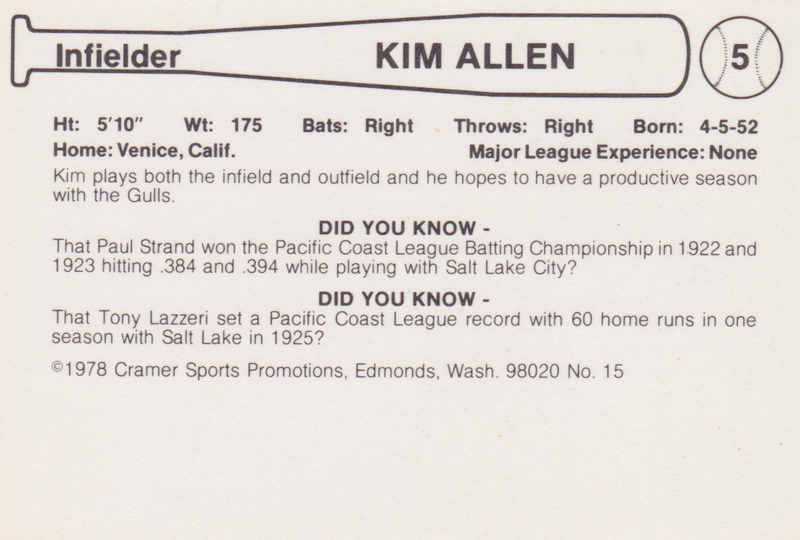 I remember the Mariners fielding several speedsters back in those days, so maybe Kim didn't stand out like he would've on another club. Unfortunately, "failing" for Seattle in the 1970s gave you few other MLB options; not many teams scooped up guys who couldn't make an expansion era roster. Best thing about this card: That's great color tone on the bat; I love those coppery Louisville Sluggers with a pine tar patina. 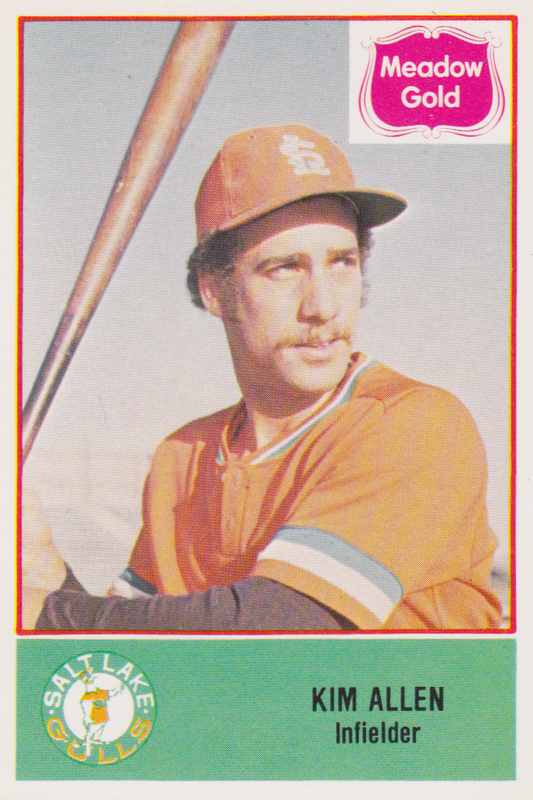 Cramer Sports Promotions, better-known as 80s/90s card maker Pacific, competed with TCMA in the 70s minor league team set market and these full-color cards still look sharp today. 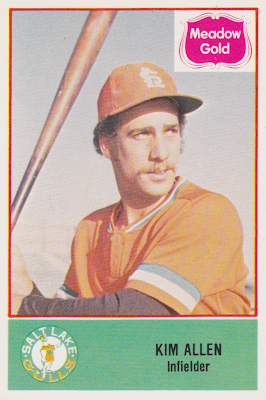 Washington-based Cramer also produced a set near and dear to my heart, the 1980 Baseball Legends, which I bought new at the general store a few blocks from school. Check out my profile of #5 Joe DiMaggio and BA Benny's Pack Rip Cafe for more details. 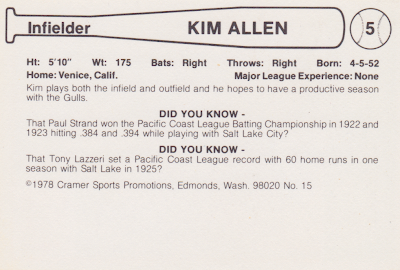 Value: Kim Allen cost $2 at MinorLeagueSingles.com, about right for late 70s minor leaguers.